DUO, a large scale sculpted ensemble of two towers marks up a historic joint venture development between the governments of Malaysia and Singapore. Recently completed at a ceremony with the Prime Ministers from the two states, DUO symbolizes the symbiotic relationship between the two Southeast-Asian countries. Designed by Ole Scheeren, the twin towers in Singapore’s historic Kampong Glam district are an act of urban reconciliation. 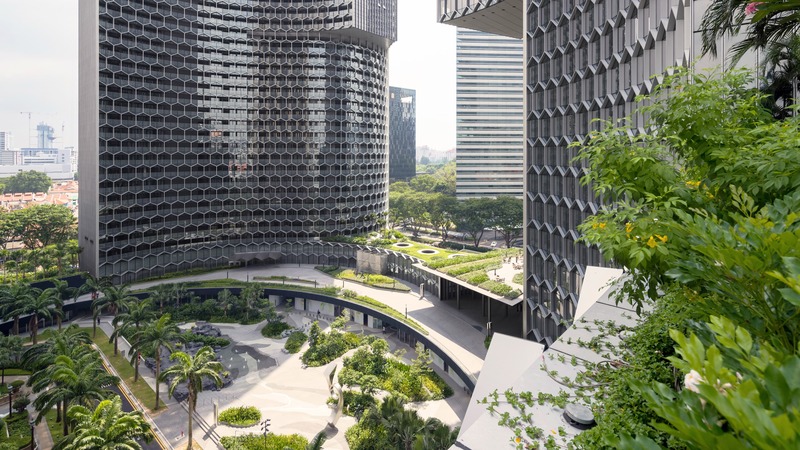 Conceived to knit together a previously disparate part of the city, DUO integrates the surrounding context with its diverse mix of functions to form a new civic nexus for the prosperous life of Singapore. Two expressive sculptural towers are dynamically carved to create a series of circular urban spaces and their curved facades ripple with the delicate texture of a honeycomb shading system. The buildings’ slender forms envelope the public spaces, while the resulting geometries complement the angles of the existing architecture and create a landscape of covered and open-air gardens, walkways, cafes and restaurants. Developed by M+S PTE LTD, DUO integrates living, working and retail with public gardens, cultural installations, and a diverse urban context. 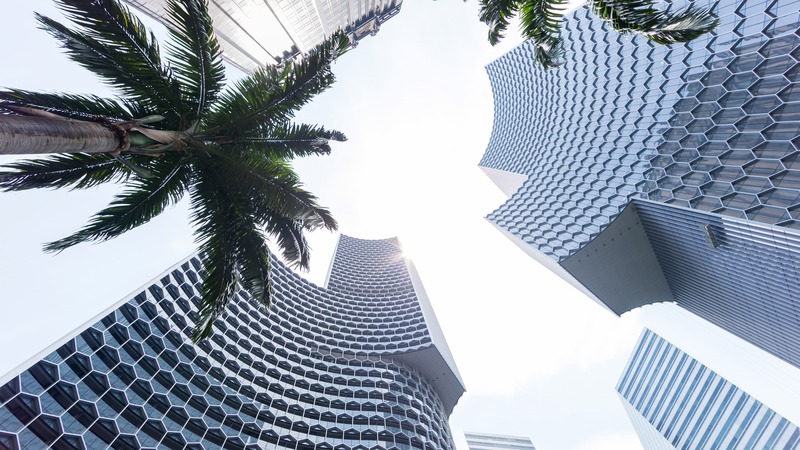 One tower accommodates 660 residences and the other corporate offices and a five-star hotel operated by Andaz, while a plaza, open to the public 24 hours a day, celebrates the lush tropical vegetation that grows across Singapore. 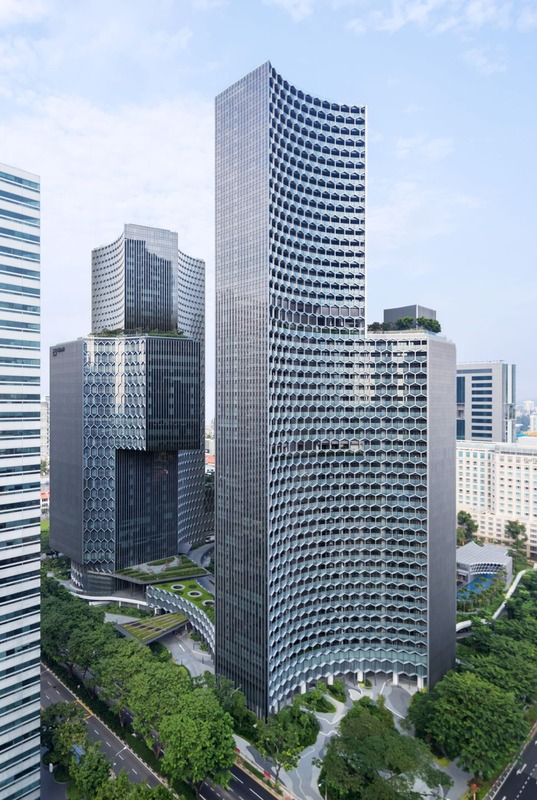 DUO is Ole Scheeren´s second city defining realization in Singapore after THE INTERLACE, awarded World Building of the Year in 2015.